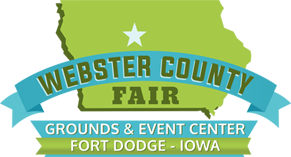 The Webster County Fairgrounds near Fort Dodge, Iowa has many facilities, including the multipurpose buildings, campgrounds and more, all of which are available for rent throughout the year. Call the Fairgrounds phone for more information or to rent buildings. Note: Permanant bar on west side is in the NE corner and not in sq foot calcuation. Take 150 sq feet off if needing a bar on east side. 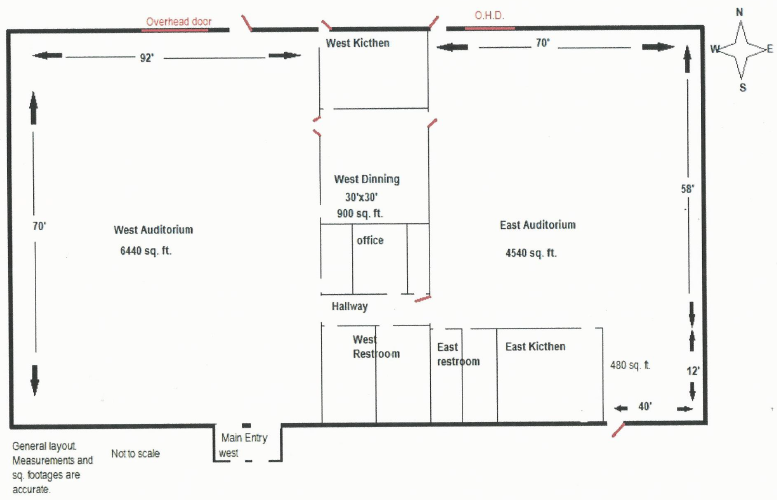 There are several free software programs on the internet to help you design the layout using the square footage of the space with rectangle tables. Deposit of $250.00 is refunded if the buildings, grounds, and contents are undamaged and cleaned. The Webster County Fairgrounds has several livestock buildings that are great for many events. These buildings are available for rent April – October. Any renter needing the water tank…the first tank (1000 gallons) is free. If more is needed the water surcharge is $80.00 per 1,000 gallons used. A security deposit of $150.00 per building, with the exception of the Indoor Arena and Horse barn, which is $300.00, is due with the signed contract. Security deposit will be returned upon inspection of the buildings.